They’re still here, and thankfully, so is the Funko Pop The Leftovers set. The stylized release features several options from the HBO drama series. Following the mysterious phenomenon known as the "Sudden Departure," The Leftovers documents those left behind, particularly the Garvey family. Police Chief Kevin Garvey, portrayed by Justin Theroux, attempts to keep life in Mapleton as normal as possible, while Patti Levin, played by Ann Dowd, leads the local chain-smoking, non-speaking cult, the "Guilty Remnant." 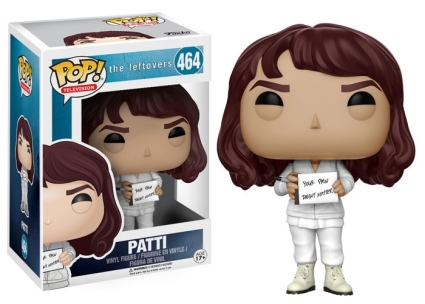 Shop for Pop The Leftovers Figures on Amazon. Featuring combed hair, Pop! Kevin wears the police uniform with the first few buttons of his dress shirt undone and tie loosened. 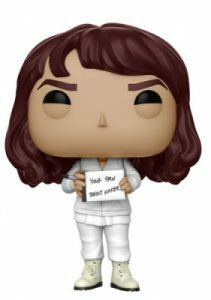 Dressed in all white, Patti holds the notorious black Sharpie with a pad that reads "YOUR PAIN DOESN’T MATTER." 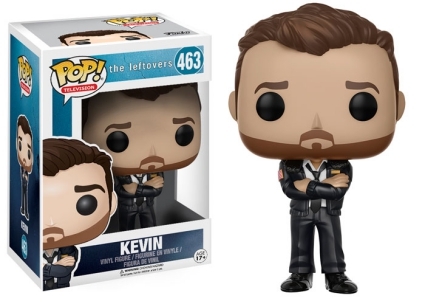 Fear not, The Leftovers fans, your favorite former reverend is also included in the Funko Pop The Leftovers lineup. 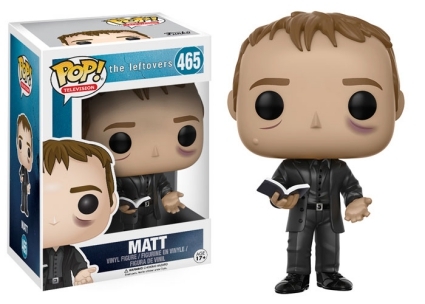 The option for Matt, portrayed by Christopher Eccleston, resembles his small screen counterpart (black eye included!) as he holds a Bible while imploring others to join him. Surprisingly, this is not the first Pop! makeover for Eccleston. Highlighting his time as the Ninth Doctor, the Funko Pop Doctor Who series includes two figures for the actor. 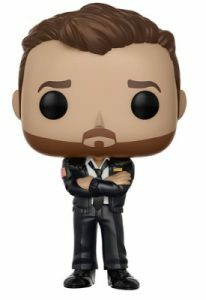 Each Funko Pop The Leftovers figure stands about 3 3/4" tall and they are numbered into the main Pop! Television line.